Today we can officially reveal a huge roster change for one of the most dominant and promising teams in North America. Curse has cut David “Xp3” Garrido from their roster, and picked up player Gaven “Whaz” Sorensen. Xp3 originally joined forces with Buds and Talespin after the IPL 5 Shootmania event. After leaving his former team Epsilon, whose roster was Godson and Gillz, Xp3 saw a brighter future with the Curse lineup. It was obvious a new powerhouse had been formed. 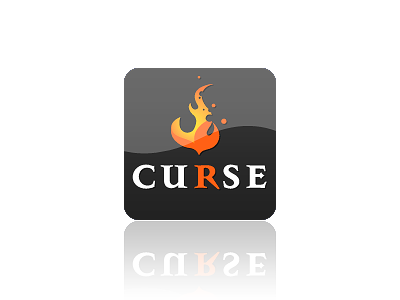 With the addition of Xp3, Curse was able to secure 2nd place in the Curse Tournament, losing to SK Gaming for 1st Place. Curse took 2nd place in the first IPL North American qualifier, and finally taking home $15,000 at the San Francisco Launch Tournament with another 2nd place, an event in which Fnatic placed 1st taking home $30,000. Xp3’s next steps are unknown. Hopefully this player will stay in the community and join others to make another powerhouse for North America. Now that we addressed who will be dropped we move onto who will be replacing such a strong player. None other than Whaz, who comes from a prominent Quake duel and CTF background. If his name sounds familiar it is because he had just last week signed up with the HRG roster, so this comes as a shock. It was in the second North American IPL Qualifier where we saw Whaz shine amongst his roster of br1ck, and freen, on Team DeathMatch (DM). DM made some serious roster changes dropping br1ck and picking up player Viju and sponsor iDemise. The biggest question asked in eSports is “Can you do it on LAN?” and yes, Whaz could do it on LAN. Whaz managed to dazzle the audience with his spectacular play and carry. With the current state of top NA teams in question many top tier players are homeless, this is an opportunity many teams are taking advantage of by securing strong players for online and offline play, Whaz will be a major addition to the Curse line up. With that said Xp3 is now also homeless, but don’t expect such a talented player to go team less for too long. Good luck to Curse, and best of luck to David “Xp3” Garrido in finding another team. I guess when having a team of 3 whaz’s isn’t an option, this is the next best thing.